Summer Heat Waves Raise Risk for Heatstroke… Are You Prepared? Once again, record-breaking heat is bringing broiling conditions to many spots across the United States. 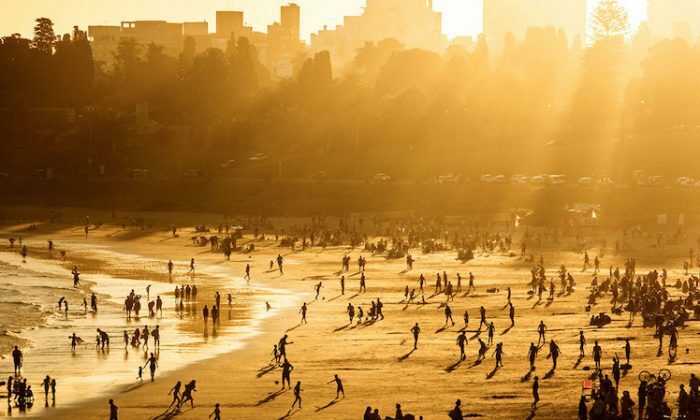 Since the notable 2011 heat wave—which was then the hottest in 75 years—North Americans have been suffering through increasingly warmer spring and summer weather. Experts continue to warn that these heat waves may become more regular and last longer in the future all over the United States. What’s worse is that exposure to these extreme temperatures is the leading cause of weather-related death in the United States. This not only includes heatstroke, but also problems associated with breathing difficulties and exacerbated preexisting medical condition. As sweltering summer heat waves become the norm, health experts are warning people about the importance of staying cool, particularly young children, the elderly, and others at greater risk for heatstroke and other problems associated with excessive heat exposure. Depending on a person’s age, presence of chronic medical conditions, and the amount of fluids they’ve consumed, heatstroke—especially in temperatures in the triple digits—can occur in just a few short hours. Heatstroke does have early warning signs. If you notice these signs quickly, it can help prevent more serious complications from developing. “If you notice that you or a loved one have stopped sweating, this can be a late finding and should be taken seriously before neurological complications arise,” said Dr. Edgar Petras, an Indiana University Health resident physician in emergency medicine and pediatrics. If you or someone near you is experiencing one or more of these symptoms, seeking immediate medical attention could be a lifesaving action. If the most serious symptoms —racing heart rate, confusion, seizures, or unconsciousness—medical experts recommend you seek immediate medical attention. Emergency medical professionals can immediately begin treatment, which will include intravenous hydration and other methods. When you or someone else begins to show signs of heatstroke, the first thing you should do is get them or yourself out of the heat. Depending on the severity of the heatstroke, recovery can take several days. Left untreated, experts say, heatstroke can cause lasting damage to your brain, muscles, kidneys, and other important organs. But experts suggest it’s best to prevent heatstroke by being aware of not only the temperature but also what you’re putting into and excreting out of your body. It’s important to drink plenty of cool fluids in the heat. Water is best, but Glatter also recommends low-sugar sports drinks, especially if you’re working in the heat or exercising for more than an hour. These drinks can replace electrolytes lost during excessive sweating. If you must exercise during a heat wave, do it before sunrise when humidity is low. “Don’t drink alcohol or sugary drinks in the heat since this leads to dehydration due to excessive water loss,” he said. For the elderly, the homeless, and other people who may not have access to air-conditioning, some cities open up cooling stations. 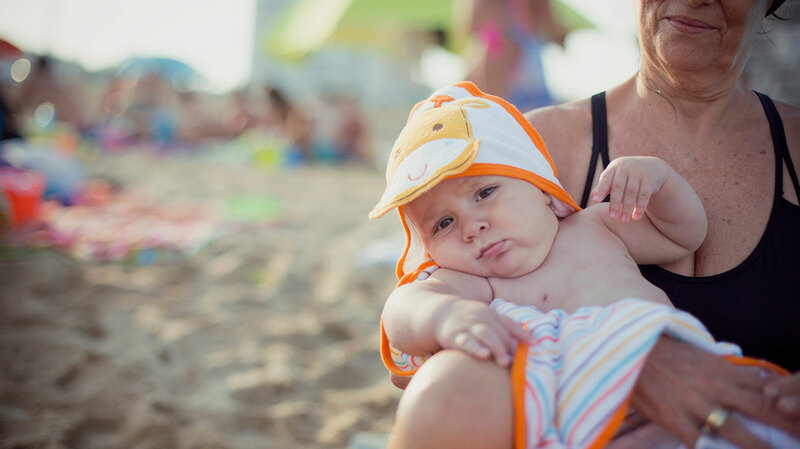 Children and seniors have many things in common when it comes to their susceptibility to heatstroke. This includes their ability to regulate their own body temperature and their dependence on others for care. That can include something as simple as making sure they stay hydrated. Glatter said part of the reason children don’t regulate their own body temperature, as well as adults, is due to their higher ratio of surface area to body mass. In other words, they don’t have enough meat on their bones yet. Sampson says parents should be hyperaware when children are outside during heat waves. You may have seen the videos of people baking cookies on the dashboards of their cars. While some places don’t necessarily get that hot, the temperatures outside can still turn cars into an oven. For example, a car sitting at 70°F (21°C) heat can get up to 90 to 100°F in as little as a half hour. “When it’s 90 degrees outside, the interior can heat up to 110 to 120 degrees Fahrenheit in 30 minutes and be lethal in that short time frame,” Glatter said. Similar to children, older people are just as susceptible to overheating and developing heatstroke. This includes the elderly who live without fans or air-conditioning units to properly cool their homes. As we age, our bodies lose their ability to regulate our internal body temperature, similar to small children. Seniors are also more likely to have other medical conditions. But the increased risk for heatstroke doesn’t stop with the young and the old. People exposed to heat for long periods of time, especially those without adequate skin protection or who are working or exercising outside, can also develop heatstroke. Also, people with chronic diseases such as asthma, chronic obstructive pulmonary disease, congestive heart failure, and coronary artery disease are at higher risk for heat-related conditions. Brian Krans is a senior writer for Healthline, where this article was originally published.